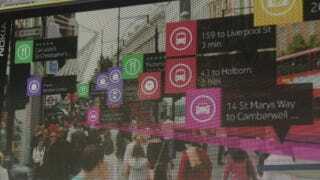 So far we've only had the chance to hear what Nokia's sweet-sounding City Lens augmented reality app is capable of. If you've got a Nokia Lumia 900, 800, or 710 you can get a beta version of the app right now. City Lens works much like Yelp's Monocle: Point it at a street corner and your phone's screen will serve up the names of the restaurants and stores you're looking at. Sounds like something you want to check out, right? Here's how. If you want to download the app, you can simply search for it in the Windows Phone Marketplace from your handset. But if you're feeling really adventurous, you can use the following QR code (UGH!!!!!) to get access to the beta.